Nothing is worse than floating through a park on a sunny spring day just to have a bug smack you in the forehead! At Leehweno, we're are dedicated to finding innovated ways to make your rides more enjoyable and less buggy. 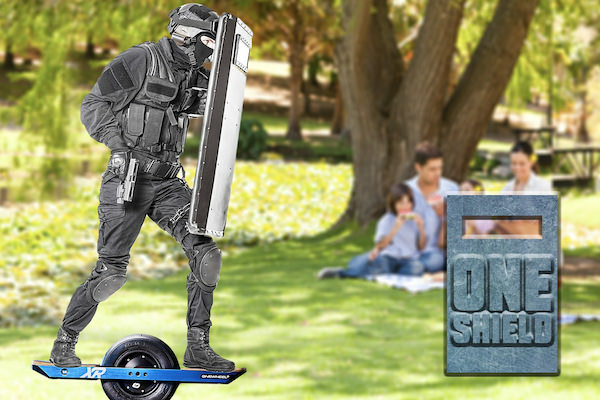 That's why we've created the One Shield. 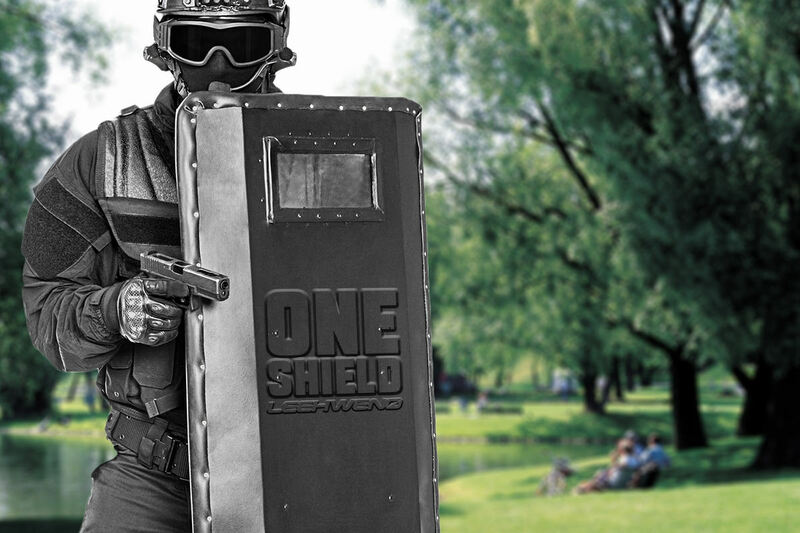 The One Shield is a military-grade riot shield made from hardened steel. The 12"x5" bullet proof glass window allows optimal viewing of what's in front of you, as well as rugged protection from the bugs. Now you can finally float without fear of the flies! Note: They weigh about 85lbs, so shipping costs about and extra $250. Just fyi.